I was at the grocery store, walking down the soda aisle – when I happened upon a few boxes of soda with a label that I was not familiar with.. So ofcourse – my eye goes straight to it.. 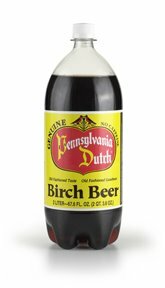 I thought, “What the heck is Birch Beer?” and I had to try it.. The easiest way to explain it, its like a mix of Root Beer, and Dr. Pepper.. the perfect mix. I found it at Shop Rite, good luck trying to find this one in stores, Im thinking about going back to Shoprite just to clean out the rest of their supply before they decide to stop carrying it!